The 2018 Catchupa Factory is an international Artist Residency dedicated to emerging photographers and artists from the PALOP (Portuguese-speaking African countries). The residency was led by South African photographer and educator Michelle Loukidis. John Fleetwood and Paula Nascimento took part as selection and critique members. 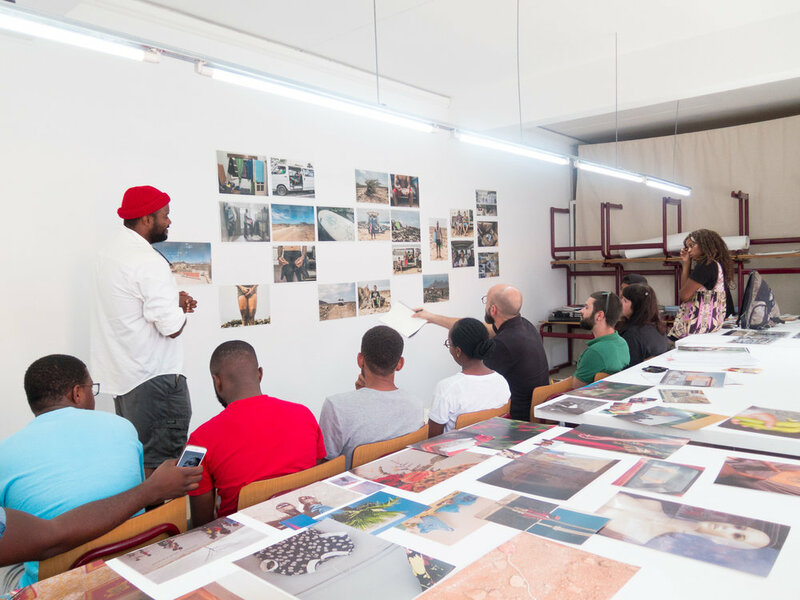 The workshop hosted 11 photographers from Cabo Verde, Angola and Mozambique. Founded in 2013, the AOJE is committed to the dissemination and promotion of photography and photographic activity, from the perspective of social, cultural and economic development. The Catchupa Factory – Novos Fotógrafos 2017 is an initiative of the AOJE Association, with the support of the Calouste Gulbenkian Foundation and the Ministry of Culture and Creative Industries of Cape Verde.